Like our Chi Alpha FB. Welcome to Missionaries Chris and Lindsey Carters’ website! 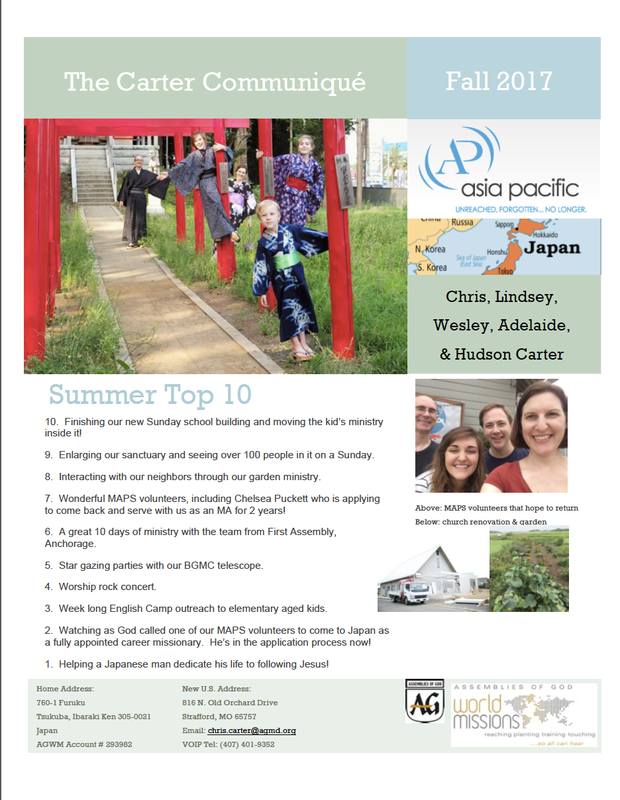 This is meant as a tool and resource for finding out what God is doing with our mission to Japan. Click on the links above to navigate the site. Thank you to all of our supporters for helping us with our mission and praying for us on a continual basis! Check out our New Giant BGMC Telescope! And don’t miss our other videos either!